WhatsApp. Wonderful, wonderful, WhatsApp. The messaging service that made BBM look boring and text messages redundant. Of course there are now heaps of messaging services around, but WhatsApp has had a massive head start on almost all of them, meaning it has tonnes of features. You can read all about what it is and how it works in our WhatsApp feature, but for those who already know the beauty of the service, here are some secret tips you might not know about.Apple users can get Siri to read any unread WhatsApp messages, once you have followed the steps to give the personal assistant access. You can also get Siri to reply to the message with your voice or start a new message to a contact. 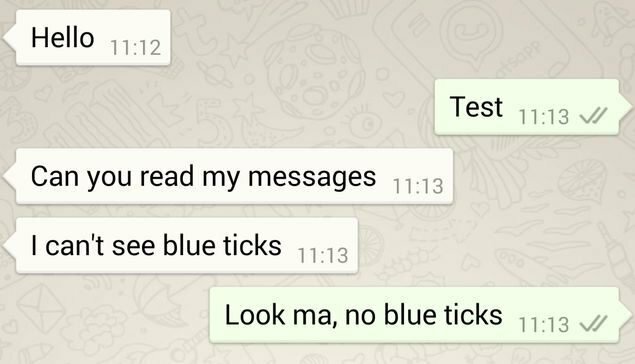 Apple users: If you get Siri to read the message, the blue ticks won’t appear so this could be a good way to read a message without the sender knowing you have.iOS: Settings > Account > Privacy > Toggle off Read Receipts.